If a conflict arises on a lateral of our acequia can we as the officers of the acequia stay out of any involvement? We have always had a policy of non-involvement when it comes to laterals. If the conflict involves someone not getting the water they are entitled to, you should get involved as the acequia officers. There is no real basis in the law for a “non-involvement policy” for laterals when it comes to people being deprived of water. If you think about it, everyone who pays their acequia dues and has a valid water right has a right to get actual wet water delivered to their property. It is the job of the acequia officers to make sure that happens and that everyone’s rights are protected. If someone on a lateral is blocking or preventing another parciante from getting water, that parciante is entitled to get help from the mayordomo or commissioners the same as anyone else. Consider, if it was you who was being blocked by a neighbor on a lateral from getting any water, and you had paid your dues and done everything else that is expected of you as a parciante, wouldn’t you expect to get the same assistance as everyone else from the acequia officers in enforcing your rights? After all, you have a valid water right, so no one has the right to prevent you from exercising it. These ideas are in fact set out in the state acequia statutes. Section 73-2-64 prohibits anyone from blocking, interfering with or stealing water without permission from any acequia or dam, “or any contra or lateral acequia thereof”. 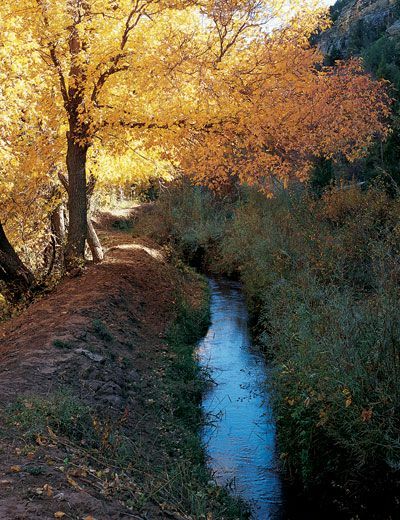 So laterals are specifically mentioned as having the same protections as the other sections of the acequia. These same statutes authorize the mayordomo or commission (and in some cases the district attorney) to take one of several legal actions against the offending party, including civil and criminal prosecution. So it is not correct to assume that it is up to the parciante to take legal action on their own. In fact, the authority for the officers to take action is much clearer in the law than it is for an individual parciante. Of course, most acequias are able to figure out ways to resolve the situation without going to court. However, the point here is that the acequia officers have the clear authority – and the duty – to step in and try to resolve the situation — informally at first, or through formal legal action if necessary. If the offending party is not responding to the complaints of their neighbor, involvement by the mayordomo or commission is sometimes realistically what it takes to resolve the situation so that the parciante gets the water. It is a different matter if an acequia has a policy that the parciantes on a lateral are responsible for cleaning that lateral without help from the other parciantes. Some acequias have that type of policy and there is probably nothing legally wrong with that type of non-involvement. Some acequias have a policy of allowing the parciantes on a lateral to figure out among themselves a rotation schedule for the water. That type of non-involvement is probably fine, too – as long as everyone is getting the water. But when a parciante is blocked from getting water, the people who are in charge of the overall delivery system – that is, the mayordomo and commission – have a duty to get involved.